Below you will find some of the actions, research steps, processes, and review stages necessary for a successful residential real estate transaction that are normally provided by a full service real estate brokerage in exchange for their sales commission. Depending on the transaction, some of these steps may take minutes, hours, or even days to complete, while some may not be needed. The list is by no means a complete list of services and some transactions may not require every step list. 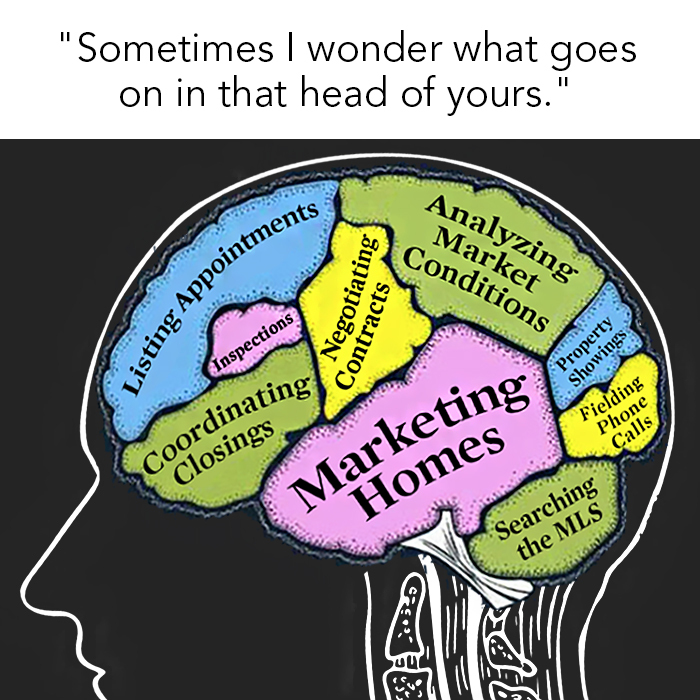 Many Realtors routinely provide a wide variety of additional services that are as varied as the nature of each transaction. The professional commitment of a Realtor is to ensure that a seller and a buyer are brought together in an agreement that provides each with a transaction that is fair and equitable. The motivation is easy to understand. For most full-service brokerages, they receive no compensation whatsoever unless and until the sale closes. By contrast, there are firms that offer limited services in exchange for an up-front flat fee, or offer a menu of pay-as-you-go or a la’ carte options. Other real estate firms may offer a sliding scale ranging from limited to full service. In these cases, the compensation of the Realtor is based on the reduced services provided, with the seller bearing full responsibility for all of the other steps and procedures (which are normally conducted by a full service real estate firm) in the selling process. Research “Average Days on Market” for this property of this type, price range and location. Prepare “Comparable Market Analysis” (CMA) to establish fair market value. Research property’s ownership and deed type. Verify legal names of owner(s) in county’s public property records. Prepare listing presentation package with above materials. Review agent’s and company’s credentials and accomplishments in the market. Present company’s profile and position or niche in the marketplace. Discuss goals with seller to market effectively. Explain market power of web marketing, Internet Data Display and Realtor.com. Explain the work the brokerage and agent do behind the scenes and agent’s availability onweekends. Explain agent’s role in taking calls to screen for qualified buyers and protect seller from curiosity seekers. Explain different agency relationships and determine seller’s preference. Review and explain all clauses in Listing Contract and Addendum and obtain seller’s signature. Measure overall and heated/air conditioned square footage. Prepare showing instructions for buyers’ agents and agree on showing time window with seller. Verify Home Owner Association Fees with manager – mandatory or optional and current annual fee. Research electricity availability and supplier’s name and telephone number. Natural gas: Research/verify availability and supplier’s name and telephone number. Send “Vacancy Checklist” to seller if property is vacant. Explain benefits of Home Owner Warranty to seller. Assist sellers with completion and submission of Home Owner Warranty Application. – Make copies of all leases for retention in listing file. – Verify all rents and deposits. – Inform tenants of listing and discuss how showings will be handled. Prepare MLS Profile Sheet – Realtor is responsible for quality control and accuracy of listing data. Proofread MLS database listing for accuracy – including proper placement in mapping function. Provide seller with signed copies of Listing Agreement and MLS Profile Sheet Data Form within 48 hours. Coordinate showings with owners, tenants, and other Realtors. Return all calls – weekends included. Order “Just Listed” labels and reports. Mail Out “Just Listed” notice to all neighborhood residents. Discuss lockbox showing reports and feedback from showing agents with seller to determine if changes will accelerate the sale. Deliver Seller’s Disclosure to buyer’s agent or buyer upon request and prior to offer if possible. 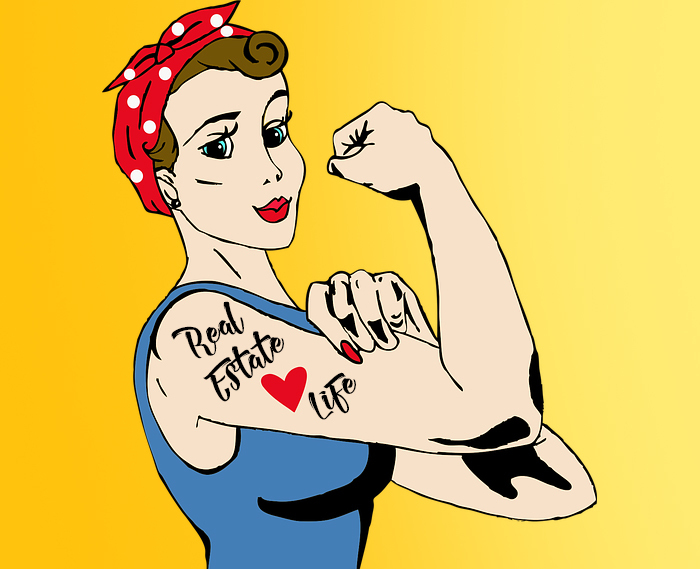 Negotiate all offers on seller’s behalf, setting time limit for loan approval and closing date. Email copies of contract and all addendums to closing attorney or title company. When Offer to Purchase Contract is accepted and signed by seller, deliver to buyer’s agent. Disseminate “Under-Contract Showing Restrictions” as seller requests. Deliver copies of fully signed Offer to Purchase contract to seller. Deliver copies of Offer to Purchase contract to Selling Agent. Deliver copies of Offer to Purchase contract to lender. Advise seller in handling additional offers to purchase submitted between contract and closing. Review buyer’s credit report results — advise seller of worst and best case scenarios.